Democratic nominee for Florida governor Andrew Gillum is up 4 points on Republican opponent Ron DeSantis in a new NBC News/Marist poll, within the 5-point margin of error. 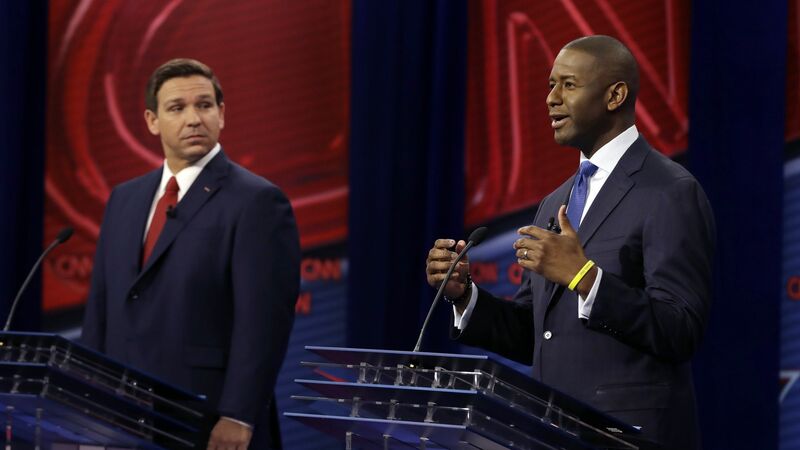 Why it matters: Race has played an increasingly large role in the high-stakes Florida gubernatorial campaign, with Gillum — who could be the state's first black governor — among several candidates this cycle to be targeted by racist robocalls. Gillum led DeSantis by 5 points in September's NBC News/Marist poll, also within the margin of error.